Today, May 23, Venus is conjunct Mars in Taurus, the Sign of sensuality and loyalty. Just a reminder, no time to write more, that love is real, right here, right now. 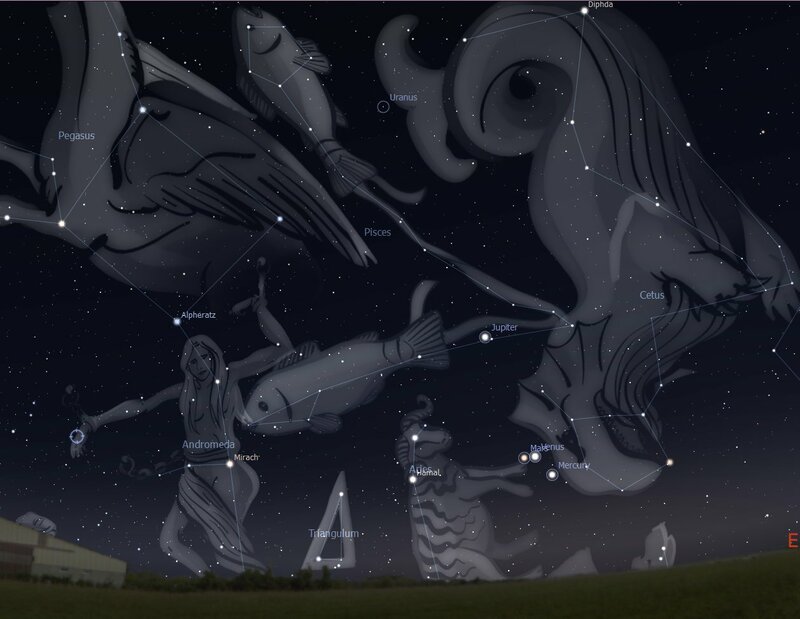 Here is a sky-scape of this conjunction, taken by Stellarium for May 24, around 5.30 am, looking East-North-East, with little Mercury just separating from them, bright Jupiter and invisible Uranus above. Please click HERE for my recent post on Venus and Mercury’s transits in Taurus. Please click HERE for my recent post on Mars transiting Taurus. And HERE for reading for Mars in Taurus and your Rising Sign. 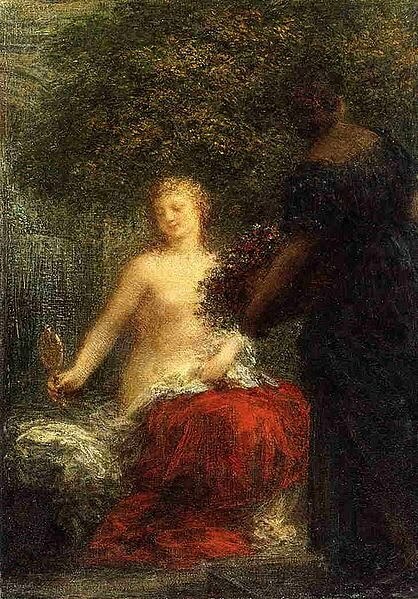 Henri Fantin Latour (1836-1904), the artist who painted the picture I have chosen for this post, became famous, I learnt, for his flowers and women portraits. 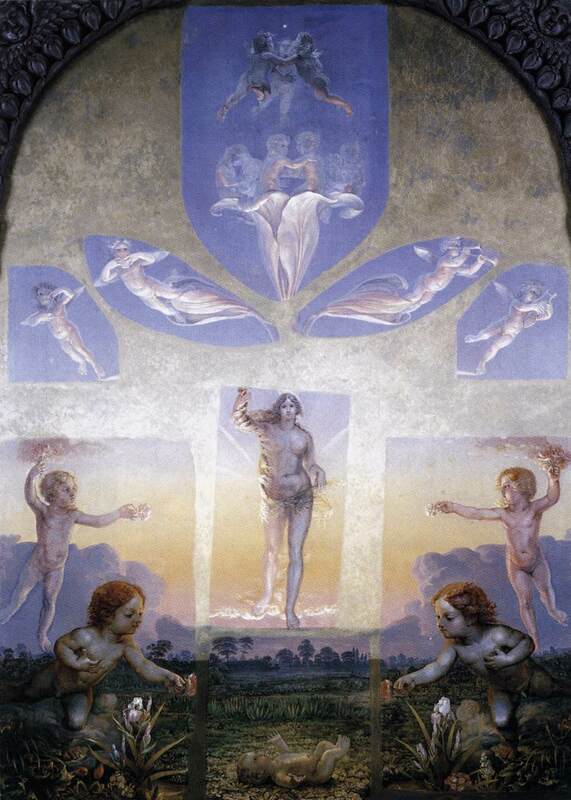 This seems to me a great association for the fertile Sign of Taurus, natural abode of Venus, representing Nature in her bountiful, peaceful and healing aspect, the apotheosis of the feminine principle of love over conflict, and pleasure over hardship. Venus and Mercury enter Taurus on May 16, Mercury ending this transit on June 3 and Venus on June 10. Mars will be in Taurus until June 21, while Jupiter will also make his entrance in this Sign on June 4 and remain there for a whole year. Venus and Mercury are again conjunct on May 17, Full Moon day, then Mercury will speed ahead to meet Mars on May 21, and Venus will also meet Mars on May 23. When we talk about Venus in Taurus this year, then, we should not forget that Mercury and Mars, and soon Jupiter, are very much part of her story too. The Sign of Taurus is buzzing with a lot of different energies playing upon it; Mercury providing intellectual curiosity and stimulation, Venus pleasure and cheerfulness, Mars determination, vitality and the fighting spirit, and soon also Jupiter imparting wisdom, confidence and vision. There is not going to be a better time, in the near future, comparable with this, for the number of opportunities becoming available to Taurus, a usually lay back and content Sign. Making the most of this alignment will make Taurus’ life more fulfilling, happy and active. Scorpio, like Taurus, will feel the power of these configurations more keenly than the other Signs. Venus and Mars are intensifying Scorpio’s feeling responses, exposing it to sudden attractions and the lure of love and romance. At the same time Mercury makes Scorpio feel more communicative and social, a plus for this rather reserved Sign. Because the Taurus planets are opposing Scorpio the risk is there of experiencing the more challenging side of these transits, especially in the area of love or business partnerships, by causing jealousy, resentment and negative psychological projections. These transits are significant for people born with the Sun, Moon, Ascendant or a number of ‘personal’ planets in the Fixed Signs of Taurus, Scorpio, Leo, Aquarius, and the Earth Signs Virgo and Capricorn. To a lesser degree also the Water Signs Cancer and Pisces, because Venus, Mercury and Mars will form harmonious angles with them (trines and sextiles). The Taurus’ cluster will have however also a general effect on everybody, beginning a period of greater emotional and financial stability. 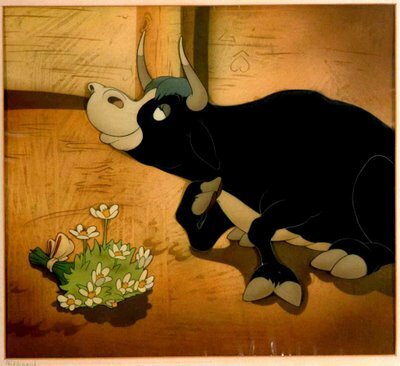 The pace of life may slow down a little for all of us, hopefully leaving us time to smell the flowers, as the iconic Ferdinand the Bull of Disney’s fame, content with simple pleasures and adverse to fighting. Mercury in Taurus can help us to concentrate better and reach great depths, and Venus to savor loving feelings and sensual pleasures. While Mars will encourage deliberate actions, dictated by practicality, making us more doggedly determined to stay on the job until it is finished. During her stay in Taurus Venus will enjoy a period of special power, because Mars, Mercury in Taurus, and soon Jupiter, as well as Saturn in Libra are all transiting Signs that are traditionally considered Venus’ domains, so that they all have to pay homage to her and do her bidding. We can now learn how to save energy and relax, while still being productive. This is a blessing really, considering the hectic times ahead, when the Sun, Mercury, Venus and Mars will all be in restless and speedy Gemini between the months of June and July, another unpredictable Eclipse season, with three Eclipses on the radar. For an astrological discussion about the June-July Eclipses please navigate from HERE to my June to September Forecast article. Negatively the emphasis on Taurus, as with all Fixed Signs, could increase, however, our chances to get bogged down in projects, relationships and thinking patterns, slowing considerably our progress. Knowing the risks we have to find a balance between the need to take it easy and the need to get things done, or to move from situations that have become stale or toxic. 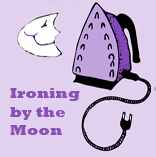 Gardening by the lore of the Moon we learn that sowing and planting when the Moon is in Taurus encourages root growth, also helping to establish perennials, those plants that need to survive more than one growing season, going deep into the soil to get their nourishment from our Earth Mother. This is a great symbol for Taurus’ power and gift of productivity, constancy, firmness, solidity and enduring strength, qualities now more available to all of us. There is also, of course, a spiritual side to this Earthy Sign, that, by the way, is not usually more materialistic than any other Sign. Some Taurean have a marked interest in everything occult and in old traditions and sacred scriptures. Practices of devotion and beautiful heart-felt rituals, as well as contemplation and transcendental meditation are well suited to this relaxed and unhurried Sign. Venus entered Scorpio on September 9 and will become Stationary Retrograde on October 8 (13°13′ of Scorpio), re-entering Libra on November 8, and turning Stationary Direct again only on November 19 on 27°39′ of Libra. 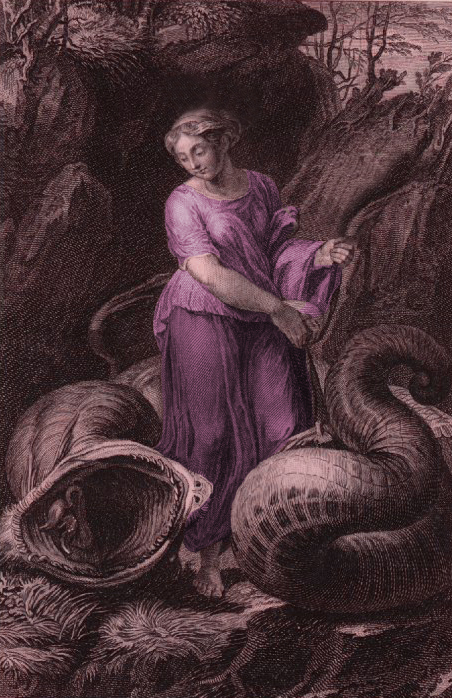 Venus will then re-enter Scorpio, in Direct motion, on November 30 and continue transiting Scorpio until January 7 2011. The whole retro period will cover the Zodiac’s area between Libra 27° and Scorpio 13°. The previous Venus retro period happened between March and May 2009 (end of Pisces to mid-Aries), the next will happen between April and July 2012 (in Gemini, 07° to 24°). For a technical explanation of the phenomenon of Retrogradation, please visit the Tutorial page on this subject. What to expect from this prolonged transit of Venus in Scorpio, the Sign opposite-complementary her own Taurus mansion? What is making this retrogradation more interesting and more intense will be the ongoing conjunction to Mars, also in Scorpio since September 15, that was exact on October 4, with Venus very close to her Retro Station. The fascinating dance Venus-Mars began in the evening skies of August and will continue, off and on, until May 2011. Looking West after sunset we can witness this event firsthand. This meeting is providing an opportunity to integrate masculine and feminine energies, the call for receptivity to other people’s feelings with the need to be assertive and stand up for our rights. At the present time, early October, the birthday people more likely to feel the direct effect of this conjunction will be Scorpio, born November 5 to 7, Taurus, born May 3 to 5, Leo, born August 5 to 7, Aquarius, born February 2 to 4. Or anyone with Moon, any of the Angles or personal planet between the 12 and 14 degrees of those same Signs. The long visit of Venus in Scorpio will be providing many openings to explore the deeper side of our relationships, those feelings we may find difficult to acknowledge because we consider them non appropriate or because they are so powerful they might scare us. New relationships of a particularly intense kind may arise at this time, while in depth understanding and authentic intimacy could be achieved in established relationships too. From October 8, slowly retracing her steps toward the Sun, Venus will disappear in the glow of the setting Sun on October 19. She will be absent only for a short while though, reappearing in the East before sunrise in her next incarnation as a Libra Morning Star (heliacal rising) in early November. The backward motion of Venus represents a chance to revisit our ideals of love and relating, bringing back the past in our lives, symbolically or tangibly, feelings we haven’t had or people we haven’t seen for a long time. Negatively this transit could awaken the less desirable aspects of Scorpio, especially while Mars is transiting the same Sign until October 28. The intensity that colours Scorpio’s loving emotions can also apply to negative ones, worsening our dislike of some people or accentuating the negative perception of our relationships’ issues, leaving us with a feeling of mistrust that could take a long time to heal. Venus entered Scorpio on September 9 and, due to retrogradation, beginning on October 8, she will transit Scorpio until January 7 2011, excluding the period between November 8 and 30, when she will slowly retrace her Libra journey (from 27° to the end of Libra). Mars enters Scorpio on September 15 and will transit this Water Sign until October 28. 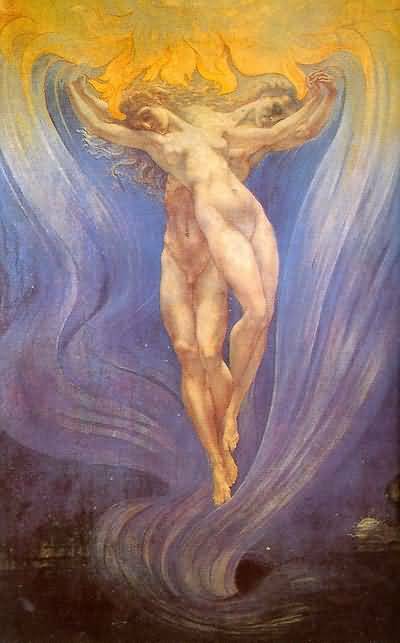 Venus and Mars, who became conjunct on August 21, will be conjunct again on October 4 (12°52′ Scorpio), and again on May 23 2011 (9°01′ Taurus): an unusually long dance of the two cosmic lovers. 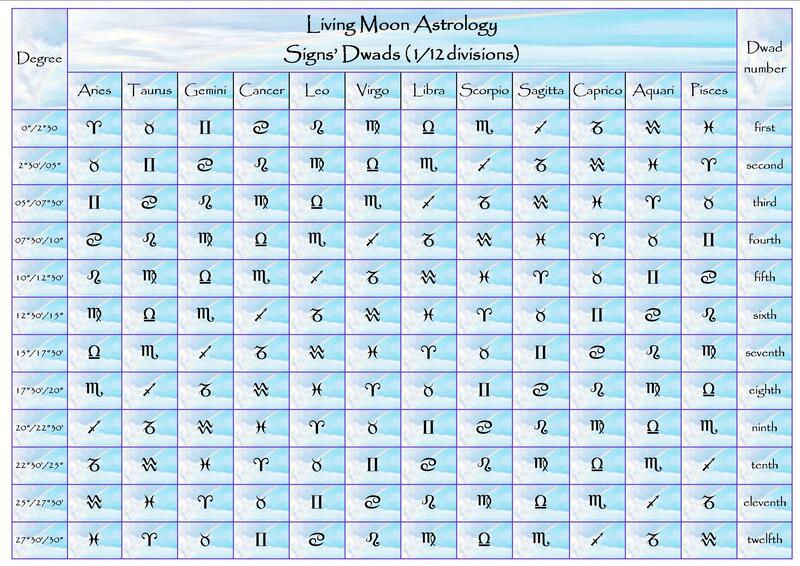 Please check my next posts for an in depth reading of these transits. Campaigning against the re-election of a Labor government is Tony Abbott, Liberal leader, staunch royalist and catholic (he was once a seminarian with the intention of becoming a priest). He comes across as a highly masculine man, dynamic, confident, often verbally aggressive or scathing, fond of sport and outdoors activities (Scorpio central influence, with Sun and Mercury, and a strong accent on the Fire Signs, Aries and Sagittarius). He seems the appropriate opponent to the Labor candidate, Julia Gillard, a woman, self-declared atheist and republican. This confrontation of sexes, political views and religious standing seem especially significant at present when we are all preparing for a conjunction of Venus (feminine archetype) and Mars (masculine archetype) that will become exact just on Elections’ Day, August 21, 2010. The conjunction will occur in Libra, with feminine Venus strong in her own Sign, while masculine Mars is in detriment, traditionally weak in this Sign, opposite to Aries, Mars’ own Sign. Libra happens to be, of course, a significant Sign for both candidates, with the Sun and Mars in Libra in Julia Gillard’s Horoscope, and Mars and Jupiter in Libra in Tony Abbot’s Horoscope, plus his Moon in Aries, Libra’s opposite-complementary; another wonderful example of astrological synchronicity at work. As with Prime Minister Julia Gillard, the time of birth of Tony Abbott is an unknown factor, so far. In this case, as with Gillard, I have also used a Sunrise Chart, cast for the time of sunrise in the place of birth, London, where Tony Abbott’s Australian parents were living when the opposition leader was born. Because I am using a Sunrise time I will not stress the House positions of Sun, Moon and Planets. Tony Abbott has the Sun and Mercury in Scorpio, showing his determination, love of a challenge and deep need to be in control of his immediate environment or otherwise feel emotionally threatened. Trust doesn’t come easy to a strong Scorpio who thus tends to be often guarded, revealing only some of his real thoughts and feelings to the world. As a Fixed Sign Scorpio can pursue a goal unrelently and sometimes even ruthlessly, knowing the weak spot of his opponents and how to use that knowledge to his advantage. Certainly Tony has demonstrated his skills in doing that. As an astrologer, as much as I’ve tried not to be too personally biased one way or the other, I have to confess to have found his tactics of constant attack and vilification of his opponents somewhat over the top and under the belt: a rather negative use of Scorpio’s psychological depth and powerful insight. No one was surprised to find out that Tony Abbott’s Moon is in the fiery Sign of Aries, a direct and uncompromising position for the Moon, denoting a temperamemt fond of debates and arguments, sometimes brilliant, while often too impatience and lacking in forethought. It is the Moon in Aries, not the Sun in Scorpio that causes him to often say just what is passing in his mind at the time, without thinking of consequences or predictable criticism. This Moon’s Sign also gives Tony Abbott leading abilities and the courage to stand for what he believes in. The positive side of this Moon’s Sign is its penchant for action, its quick response to situation and its independence. While a University student Abbott became an outspoken and confrontational opponent of left wings students organizations and workers’ unions, and also won awards as a boxer, pugilism being the perfect sport for head-strong and combative Aries. This Cardinal fiery Moon makes the personality outgoing, impulsive and ambitious, but also somewhat insensitive and lacking in compassion. The position of Mars, Ruling Planet of both Scorpio and Aries, his Sun and Moon’s Signs, could help in this respect. Tony Abbott shares in fact the same Mars’ placement as Julia Gillard, their respective Mars being conjunct in Libra (Julia’s Mars on 28° 15′ and Tony on 26° 56′). Libra is actually an excellent Sign for diplomacy, enhancing sensitivity to the needs of other people and ability to cooperate, thus somewhat compensating for the Aries Moon’s lack of tact and headstrong, bossy attitude. Libra Mars and Jupiter guarantee a modicum of social graces and diplomatic skills that could help him greatly in his career. Abbott and Gillard also share the same zodiacal position of Mercury, both born with the planet of intellect and communication in the shrewd Sign of Scorpio. However, while in Julia’s Birth Chart Mercury is removed from the Sun and in a different Sign, denoting the capacity to be objective and not too biased by her personal outlook or preferences, Abbott’s Mercury is instead very close to the Sun (what old astrologers used to call ‘combust’) and also in the same Sign as the Sun, often a symbol that it may be diffucult for him to extricate himself from his own personally tainted opinions, thus often becoming biased and judgmental. To add to the fixity of the Sun and Mercury Sign, both of them are in very close square aspect (90 degrees angle) with Uranus in Leo, another Fixed Sign. The square with the Sun in particular is exact to the minute of arc, fact that makes this aspect very powerful indeed, perhaps the most powerful of the whole Sunrise Chart. Generally speaking the contact Sun-Mercury-Uranus denotes a great degree of independence and an original if not eccentric or contrary outlook on life, also great determination and, negatively, an autocratic streak that, while it could help Abbott to get to top jobs in his life, could, as well, alienate him from others who also expect to be able to give voice to their own opinions. Uranus was the ancient Sky God, ancestor of all other Olympian Gods, so Uranian people tend to have a natural flare for leadership and often not a great respect or consideration for others’ points of view. On the positive side this birth transit will help him to take more risks and to display greater confidence in his own ability, always a plus for a political leader. His raise to the challenge during this elections’ campaign gives ample proof of this ability. In Gillard’s Horoscope I stressed the emphasis on the earthy, reliable and conservative Capricorn, where her Saturn and Jupiter are placed in her Birth Chart. These, coupled with her Venus conjunct Pluto in Virgo, make her highly pragmatic, fond of responsibilities and a bit of a workaholic. Tony Abbott’s Saturn is found instead in the Fire Sign of Sagittarius, a placement that stresses his natural optimism and ability to overcome obstacles and setbacks with ease, but also denotes a degree of irresponsibility, with the juvenile tendency to promise more than he may be realistically able to deliver. The emphasis on Sagittarius, with Venus also in this Sign, explains Abbott’s interest in religious and philosophical matters, Sagittarius being traditionally the Sign of orthodox religion and philosophy. Not only he studied to become a catholic priest but also majored in philosophy and politics at Oxford. As I wrote in my previous post in Julia’s case, without her birth time, we don’t know if a Fire Sign is on her Ascendant or Midheaven, otherwise she would lack Fire all together (a definite handicap for a leader who needs to inspire and fire up other people). In Tony’s case we are faced with the same predicament, concerning the Earth Signs instead. There are in fact no ‘personal’ planets in Earth Signs in his Sunrise Chart (meaning those celestial bodies, including Sun and Moon, laying within the orbit of Saturn). Unless, when his time of birth is finally revealed, an Earth Sign is found rising (on the Ascendant) or culminating (on the Mid-Heaven) there is a definite lack of Earth in his Birth Chart. 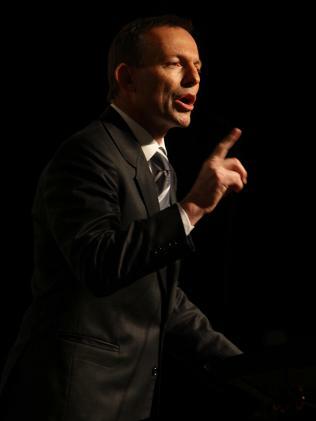 In this case Tony Abbott wouldn’t be a natural realist, the under-emphasis on Earth Sign indicating lack of the caution, patience and practical abilities that are the birth rights of all Earth Signs. Before and after graduating in Law Tony Abbott pursued a journalistic career, one well suited to his adventurous and speculative temperament (abundance of Fire Sign, with Moon in Aries, Saturn and Venus in Sagittarius). The two candidates seem to offer two very distinct world views, one Chart abounding in the very same Element the other is lacking! Jupiter, planet of expansion and wisdom, was placed in Libra, the Sign of Law and Justice, hence his choice to graduate in Law and Economic. Jupiter however doesn’t form any major aspects with the other planets or the Luminaries in his Birth Chart while ruling Sagittarius, the Sign in which Venus and Saturn were placed, thus having a strong influence on them. As I explained above Sagittarius has a lot to do with his choice of study and career, and also with his well advertised love of competitive sports. The placement of Venus in Sagittarius confirms all the above, especially the attraction for outdoors activities, also showing his need for emotional freedom in relationship. With the two feminine Planets, Moon and Venus, both in Fire Signs Abbott’s marriage partner has to be an independent and self-reliant woman too. Venus is in positive aspect to Mars (sextile), showing potential for popularity with both sexes, facility of expression and the ability to attract good luck. 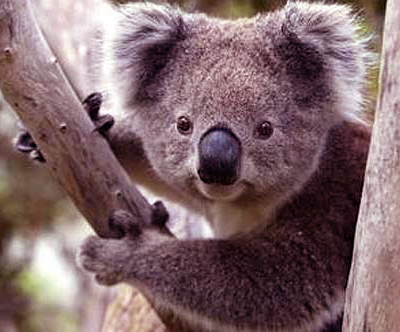 The Australian Federal Elections are now only four days away. Just before sunrise on the day Mercury will turn Stationary Retrograde on the 19th degree of Virgo, beginning his regular three weeks retro period. This is not very good news because many activities, especially those involving writing and all forms of communication may be negatively affected by the retrogradation of Mercury, robbing people of clear choices and confusing issues rather than clarifying them. The worst scenario would be a hung parliament, when no political party can govern in its own right. The conjunction of Venus-Mars with Venus stronger in her own Sign could, on the other hand, help Julia Gillard’s feminine cause. In the evening of the 21st another major transit will become exact, the last square (90 degree angle) between Saturn in Libra and Pluto in Capricorn, an aspect that promises more collective upheavals and intense frustration in many areas and for many people all over the world. This transit will seat very close to Julia Gillard’s Sun degree, because Saturn is now approaching a conjunction to her Birth Sun, showing that, even if she was to win these elections outright, she will be facing difficulties and opposition in the coming weeks. The same powerful transit however may also be entangled with Abbott’s Moon Sign (how close depends on the unknown time of birth), showing the potential for serious emotional upheaval in his life too. After so much controversies and contradicting news-polls, I can’t wait to see what will happen! Looking at the two leaders’ transits is not obvious who will win and, if anything Tony Abbott seems to have more positive transits on the day itself, while the Mars-Venus’ conjunction appears to play against his ambitions. It will be a close call, Astrology agrees about this with the majority of political commentators. The other day, musing about the Astrology of the upcoming elections while on a morning walk I tried to imagine myself as an astrological savvy employer, looking for a new manager for my business. Between these two candidates to the top job I would have to choice Gillard over Abbott, even if I didn’t know them personally, but had only access to their Birth Charts. This is because Julia Gillard’s Sunrise Chart shows a diplomatic, reliable, practical and realistic individual, with an acute brain, strong work ethics and sense of duty. 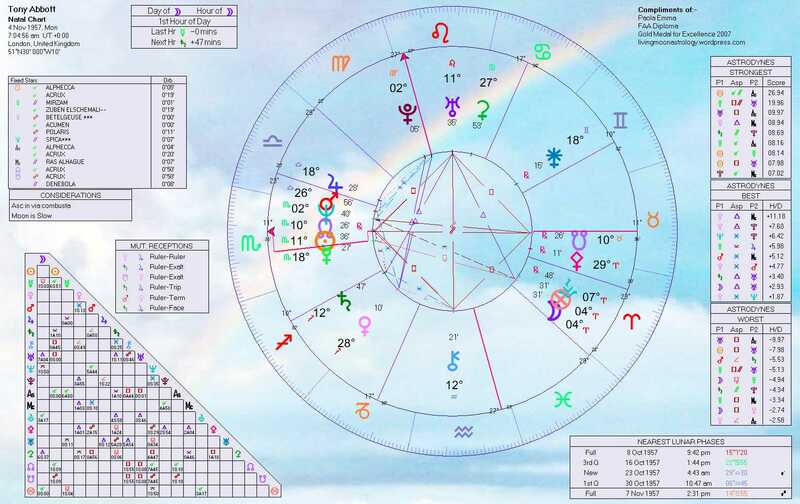 Tony Abbott’s Birth Chart shows, on the other hand, a brilliant individual, with leading ability, courage and inspiration, but not particularly practical or realistic, and perhaps too opinionated. I would also be concerned about the amount of Fire in his Chart and the prominent Sun-Mercury square Uranus, factors that, while enhancing his confidence, could involve him in many arguments and conflicts in the work place. Please follow me in my next posts where I will discuss the transits active on the day of the Election relative to the Birth Charts of Julia Gillard, Tony Abbott and Bob Brown, leader of the Australian Greens. A draft is also nearly ready on a brief astrological profile of Bob Brown who may end up holding the balance of power in our next parliament. Some of the regular readers of my posts would have perhaps noticed that I didn’t write anything about the transit of Venus through Virgo. In fact I didn’t write anything about much in the month of July. The reason is that, in good Saturn in Virgo fashion (my Birth Chart), while both Mars and Venus were also transiting this Earthy Sign, I found myself too busy with too many little but pressing things: commitments I conveniently forgot I’ve made, long overdue cleaning up (of bookshop, house and computer) and many other menial and non menial tasks that, all of a sudden, couldn’t wait any longer! If you too have found yourself lately frantically cleaning the garage or attic, or scrubbing your email box from all of last five years good wishes and cute slide shows, now you know why this was so for a while. The good news is that Venus left Virgo for Libra on August 7, while Mars also entered Libra on July 30. We could now find more time for such ‘frivolous’ things as writing and being creative, even perhaps to enjoy ourselves a little. There is a catch, there is always a catch: entering Libra, the Air Sign traditionally associated with Venus, and with all that is pleasant, beautiful, harmonious and loving in life, Venus also enters the field of battle already occupied by the great destiny makers of the Zodiac. The first is Uranus in Aries (Venus opposes Uranus on August 7 ): ‘love me but let me be’. Then is Saturn in Libra’s turn (Venus meets Saturn on August 9): ‘love as commitment and duty, or loneliness and emotional isolation in relationships’. On August 10 Venus squares Pluto in Capricorn: ‘love/hate’, a not so uncommon situation, or very intense and memorable love encounters, spiced by desire and jealousy. 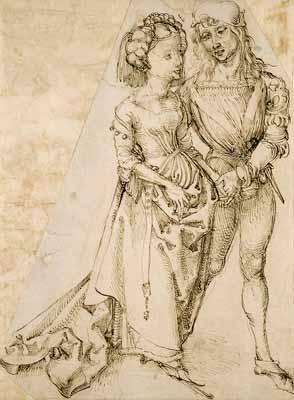 On the same day Venus also opposes Jupiter: ‘I want more from love’. On August 21 Venus will finally meet Mars in Libra, just in time for the Australian Federal Elections, a fit symbol for a ‘man versus woman’ public event. All these powerful transits will prove challenging for peace-maker Venus. She will have to confront head on issues she usually prefer to gloss over or politely ignore. Only love and friendship that can withstand the tough scrutiny of these unlikely fellow travelers will cope well with this special transit of Venus in Libra, particularly in the first week or so of her passage.